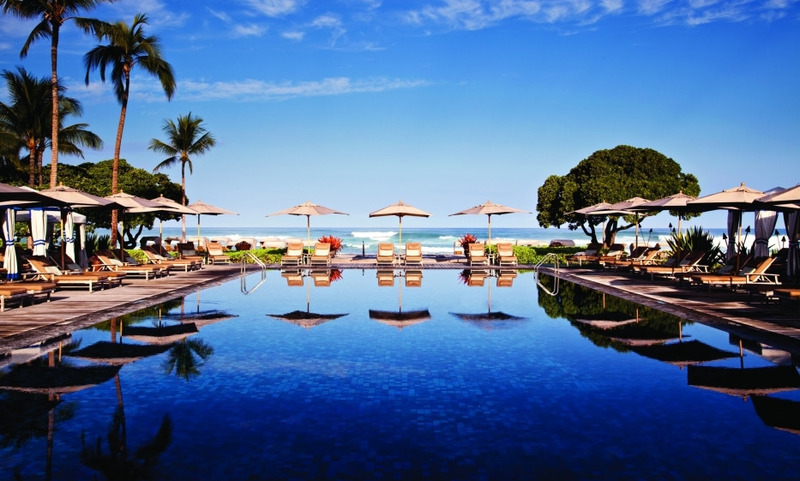 This monument to Hawaiian culture and tradition is one of the best hotels you’ll find on the island. Spacious and luxurious, this beachfront stunner has it all including a Jack Nicklaus golf course, a crystal clear and snorkel friendly lagoon and one of the island’s best spas. Superb location boasting a dramatic mix of white-sand beaches, dazzling oceanfront and black-lava landscapes. Have a dinner at Ulu where the chef works with more than 160 farmers and fishermen on the island, offering cuisine that is 75% from Hawaii Island ! It's best place of my vacation ever. Already hoping next visit there soon. It was everything I could hope for and more . Amazing natural place, great fresh food, nice staff and friendly guests. Actually I bought many books to read, but I couldn't finish even one because I was so busy in the paradise. Ocean activities and morning walks, lounging by the pool, everyday sunset and night activities. No need to play my playlist. Just listen birds singing, wave and kids laughing under the stars. Awestruck. Great place. Carpets in our room spotted and dirty. Checkin didn't Give tour by cart to give layout of property.